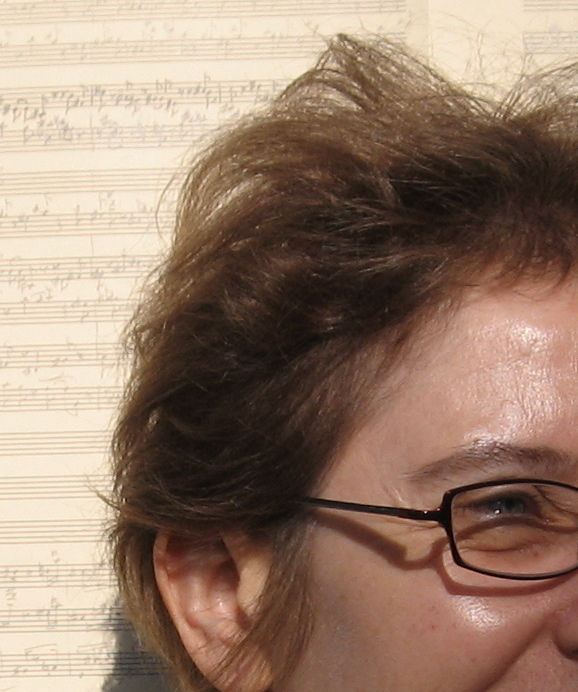 Tamar Diesendruck writes virtuosic chamber music, orchestral, choral, wind ensemble, and vocal works. Her music is often characterized as having a wide range of expression. Works from the 1990s found common ground between disparate musical cultures, more recent works avoid references: passages of guided freedom for players are incorporated to produce complex webs and networks of sound. Fashioned from layered fragments of intense individual “utterances” performed simultaneously or bunches of small gestures that resemble each other, varied musical spaces emerge, lines branch and wander, eddies and currents form. Recent opportunities to work with video have also prompted a new area of exploration, working with field recordings. Diesendruck's most recent work is Origin Story: Other Oceans, Other Air (premiere, fall 2013) for piano trio, the first piece of a larger project of works inspired by the processes of evolutionary biology called Variant Scenarios. The second piece of the set is scored for orchestral winds, percussion, piano and harp and has been commissioned by a consortium of ensembles. Diesendruck’s works have been performed by ensembles and soloists throughout the United States and Europe, in the Middle East and Asia; performers include the Pro Arte Quartet, Boston Modern Orchestra Project, Escher Quartet, Eastman and New England Conservatory Wind Ensembles, Firebird Ensemble, Callithumpian Consort, Lions Gate Trio, Speculum Musicae, New Millennium Ensemble, Dinosaur Annex, Phantom Arts Ensemble, San Francisco Contemporary Music Players, New Century Players, League of Composers-ISCM, The Crossing, Volti, Earplay, as well as such soloists as pipa player Wu Man, violinist Carla Khilstedt, and pianist Donald Berman. Works are recorded on the Centaur, Bridge, and Stanley labels. Her honors include a Guggenheim Fellowship, the Rome Prize, commissions from the Fromm Music Foundation and the Koussevitzky Music Foundation, and three awards from the American Academy of Arts and Letters. She has enjoyed productive residencies at MacDowell, Yaddo, Bellagio, Bogliasco, Camargo, and other artist colonies. She earned her MA and PhD from the University of California, Berkeley and her BA from Brandeis University. Last year she was a Fellow at the Radcliffe Institute of Advanced Study; currently she is on the faculty of the Berklee College of Music.